The morphological alterations that occur in the muscle fibers of denervated rat diaphragms were studied. Fifteen adult male albino rats (Rattus norvegicus) with a mean weight of 200 g and about 60 days of age were used. Chronically denervated diaphragms were obtained and the animals were sacrificed after 4, 8 and 12 weeks of denervation. The left antimere of the diaphragm was denervated by sectioning of the phrenic nerve and the right antimere served as control. Each antimere was divided into two fragments, which were used for histological (H.E.) and histoenzymological (NADH-TR and myofibrillar ATPase). After 4 weeks, denervated muscle fibers showed important light microscopic alterations: atrophy with angular profiles in cross-sections, cytoplasm containing vacuoles, enlarged interstitial space with increased connective tissue, cellular infiltration, and muscle fibers without defined contours. The most marked alterations being observed for type IIb and IIa fibers. Eight and 12 weeks after denervation, the NADH-TR reaction showed that it was impossible to characterize the muscle fibers based on their metabolic profile. KEY WORDS: Diaphragm; Muscle fiber; Denervation; Rat. 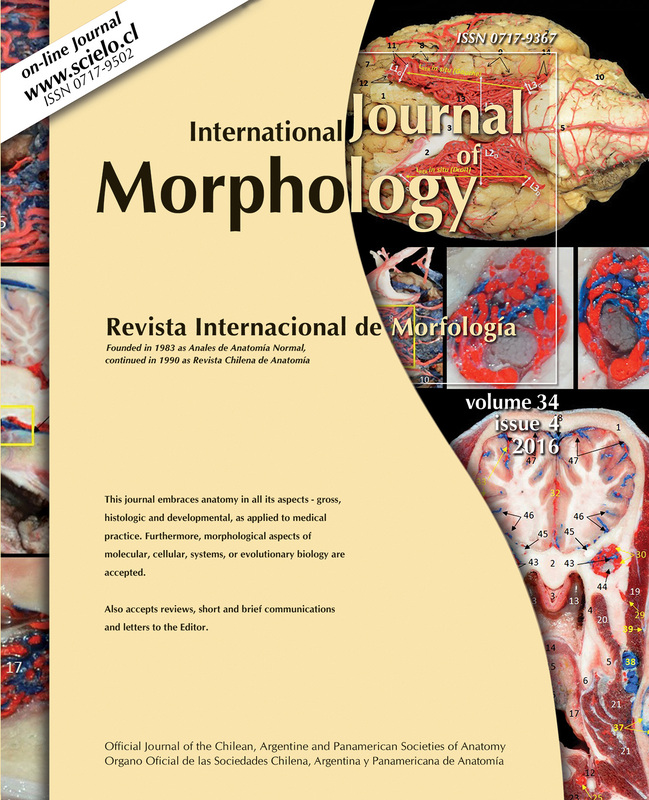 TORREJAIS, M. M.; SOARES, J. C.; MATHEUS, S. M. M.; FRANCIA-FARJE, L. A. D.; MELLO, J. M. & VICENTE, E. J. Morphologic alterations resulting from denervation of the diaphragm in rats. Int. J. Morphol., 30(3):1150-1157, 2012.